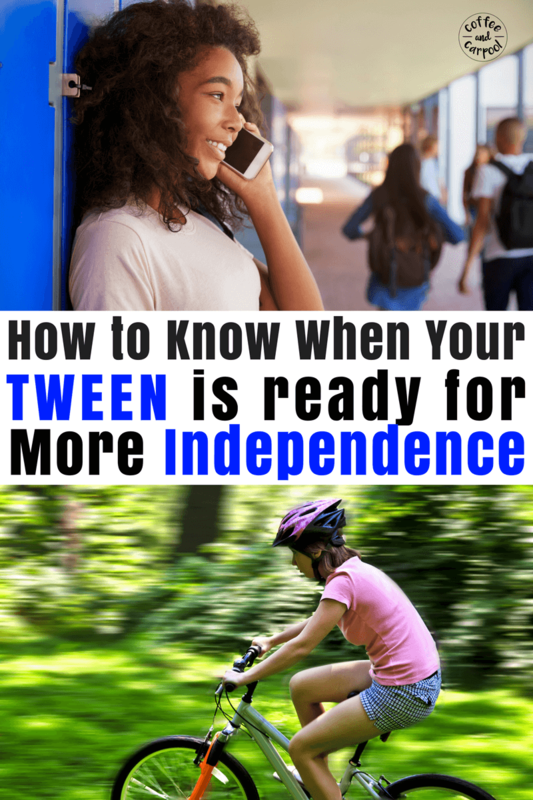 Inside: How do you know if your your tween is ready for more independence? Do you struggle with giving your child–especially your special needs child–the skills they need to be independent and self-sufficient? All children crave independence and our jobs as parents is two fold: getting them ready for the independence and determining when they’re ready for it. And then we need to get ourselves ready for it. I never meant to be a helicopter parent. I didn’t want to be the mom who followed her kid around the playground. I wanted to plant myself on a park bench rather than stand right next to my toddler while she played. I didn’t want to be the mom who wouldn’t let her daughter out of her sight. I’d love to let my daughter ride her bike to her friend’s house by herself. I wanted to be the mom who taught their children independence and then actually gave it to them. Extenuating circumstances changed who I am as a mom. Who I have to be. You see, my daughter was born with a rare genetic condition that severely limits her vision. So I followed her around the park. I couldn’t let her ride her bike to her friend’s house. She couldn’t ride a bike because of her limited depth perception and poor balance but even if she could, she wouldn’t see cars coming. So I drove her to her friend’s house. But my daughter craves independence like any other child. In fact, because of her low vision, I think she actually craves it more. She needs to prove to herself and to me that she can do what other kids do. So one day, my daughter decided she was going to learn how to ride her bike. We took off her training wheels and she disregarded her doctor’s list of things she’d never be able to do and rode her bike. And that was it. She was a bike rider. But not an independent one. She still couldn’t see the cars coming. So we took baby steps. When she got really stable on her bike, she was finally allowed to ride three houses around the corner to a friend’s house because there were no streets to cross. Her friend’s dad took pity on me and always texted that she made it there safely, even though I would have heard her if she had fallen. And that’s where it stayed for a long time. A friend three houses around the corner seemed like a reasonable place to pause her desire to be independent. And I could take a deep breath and worry less. But damn it if she didn’t keep getting older and needing more independence. More time to be her. This year, she met a new friend who lives five streets away. Still in our sweet, quiet little neighborhood, but that is three—count them three—streets she has to cross. It seemed like an insurmountable obstacle to me. But I knew the day was coming when she would ask me if she could do it. It’s ingrained in us as humans to want to try for something more. And that starts with walking–or in this case, rolling–away from your parents. So I started riding the path with her. We would count streets and point out landmarks along the way. Because of her vision, she had to memorize the path. And we practiced looking for cars and listening for cars. We focused on what to do if you’re unsure if a car is approaching. These lessons of ours are way more important than all the previous life lessons we worked on. But this, this lesson would be the most important: How to survive and thrive when you are out and on your own in the world. Letting her go would be both an emotional and physical test for me. I needed to know that she could pass and one day be able to live as an adult out on her own. All parents need to know this. We need to know that our children will be productive and successful members of society. But parents whose kids have special needs seem to have extra skin in the game. We have poured even more into our kids to make sure they will be ready when the desire and need strikes them to have more independence. And that day just came. I took a deep breath and stalled. I weighed my options. Was she ready? Yes. And no. Was I ready? Yes. And no. But in the end, I knew the answer. My daughter had her friend with her who would be the extra set of eyes. They both knew the path home and were comfortable riding. They would pass by several of my friends who are always my eyes and ears in the neighborhood. And they were riding to C’s mom who was waiting to text me that they arrived safely. And although I didn’t regret it, I immediately had a pit in the bottom of my stomach and was breathing a little too rapidly. Maybe I was second guessing myself. 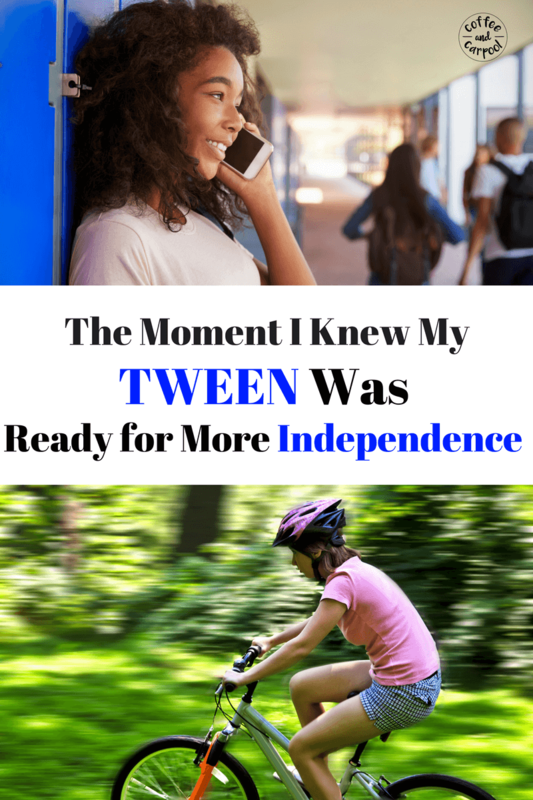 Maybe I was just scared that the time had come to give my tween even more independence. Middle school is next year and she will be with me less and less. I need to prepare myself as well as I had prepared her. Because it is the ultimate goal of parents to create self-sufficient kids and one day, self-sufficient adults. We will have done our jobs and done them well if our children no longer need us. And as bittersweet as that is, it’s just one of the many ironies of parenting. So the pit stayed in my stomach for the seven minutes it took them to arrive safely. And as soon as I got the “They made it here” text, I could breathe again. And then a friend who witnessed the whole ordeal hugged me. “See? She was ready,” she assured me. So on that day, both my daughter and I passed the test. I knew I could let her go when the time came. I knew she could be independent of me and still stay safe. But much more importantly, my daughter knew it too. And that taste of independence, the confidence she gained from that one moment of being self-sufficient was one of the best gifts I could give her. This helicopter mom is turning in her wings. Now I just need to figure out a way to keep saying ‘yes’ to her leaving my side while still remembering to breathe. 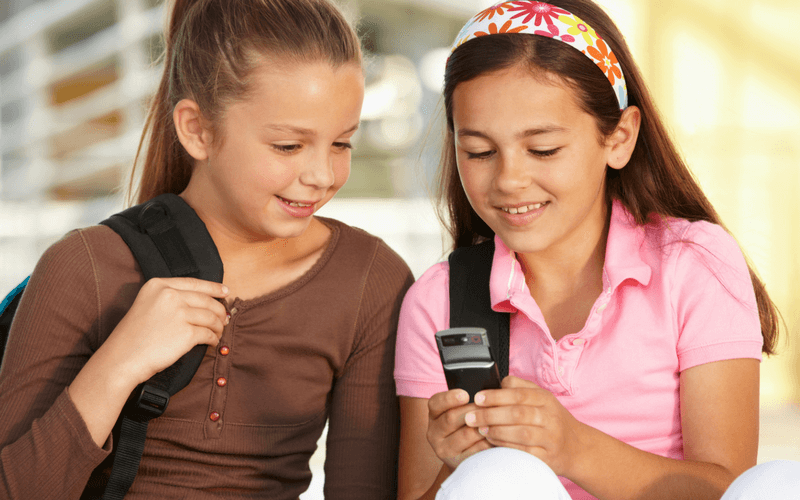 How do you teach your child to be self-sufficient and be more independent? As a mother (and previous helicopter) of a 15 year old with multiple disabilities including low vision, I totally get this. How unbelievably terrifying it is the stretch the umbilical cord for them to branch out. Great job!!!! Thank you! It is definitely one of my bigger challenges as a mom!